author and historian, and one of the world's leading authorities on pirates. Angus is the author of over a hundred books, ranging from little military or naval ones for Osprey publishing to major history books. His list of publications is as varied as his knowledge and interest. These major books include Jutland 1916, Sovereigns of the Sea, Bannockburnand The Battle of North Cape- a span of almost seven centuries of history. However, he is best known for his work on piracy, past and present. His pirate books include Blackbeard, his best-selling biography of the notorious pirate, and Piracy: The Complete History, which he describes as "the ultimate book on piracy". It'll soon be republished in an updated and widely illustrated format, as The Pirate World. Between them, his History of Pirates and World Atlas of Pirates have sold over 120,000 copies, while his "Historic Atlas" series has attained international sales in excess of a quarter of a million, was translated into eight languages, and won two international awards. Angus has also enjoyed a long-standing relationship with leading military history publishers Osprey, and has written an astonishing 60 military and naval history titles for them. He is currently working on The Worst Voyage (a working title) - a major history of the Arctic Convoys (and his biggest book yet), as well as other major titles, including Hunting the Bismarck and Mutiny on the Spanish Main. 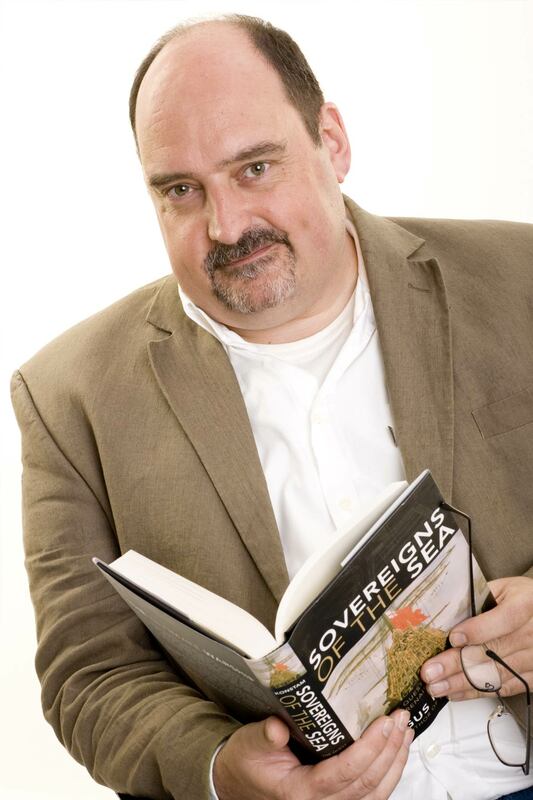 A former naval officer, underwater archaeologist and veteran museum curator, Angus has worked on both sides of the Atlantic, but he now lives in Britain, where he writes full-time, and lives in Edinburgh. Angus frequently appears on television or radio as a piracy expert and historical "talking head", and he also can be seen as speaking events, ranging from small gatherings to appearances at book festivals, conferences, special events and even the odd pirate gig. Most of all though, he enjoys writing, and the detective work of historical research - putting all the pieces together to make a great story. As he puts it; "I'm a great believer in the power of narrative history - marshalling your facts and information, then weaving them into a tale which is both as fun to read as it is informative. Effectively, a good narrative history should take readers on a journey into the past - one they'll remember after they finish the book".